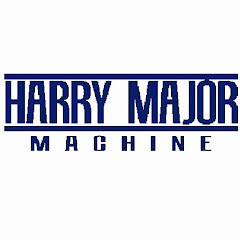 I consent to Harry Major Machine collecting my name and email address. I consent to collection of my name and email address by Harry Major Machine for purposes of further contact, including general information, newsletters and/or company updates. Exactly one month ago, the Harry Major Machine team visited IMTS 2016. Dubbed one of the largest manufacturing trade shows in the world, IMTS 2016 saw over 115,000+ visitors to its McCormick place home. Show exhibitors utilized all 2.6 million square feet of the space, giving visitors ample opportunity to see and experience all aspects of the manufacturing industry. This was HMM’s third visit to the show, and our booth hosted new cleaning technology from our partners at Knoth as well as the CR-35iA collaborative robot from Fanuc. We sat down with Curt Major, President of HMM, to hear his view on the show and take on the industry at large. Here is a sampling of talking points from our conversation, as well as his outlook on the future of manufacturing. What was one of the largest technological trends you saw during your visit to IMTS 2016? Where do you see the direction of the machine tool industry heading after attending the show? We look forward to IMTS 2018. This year’s show far exceeded our expectations, and we are excited for what’s to come. Credit to the IMTS show website for the image hosted above. Hello, and welcome to the Harry Major Machine blog! Be on the lookout for future posts on industry topics, company happenings, and the latest and greatest in automation manufacturing news. If you have any questions about postings or ideas for blog topics, we’d love to hear from you. Please email Ian Fitzgerald at ifitzg@hmm-us.com, and we will be sure to consider them for future postings. These videos show off past projects and jobs demonstrating Harry Major Machine's abilities in turn-key automation and washers.